Laura: How do you think about personal branding? 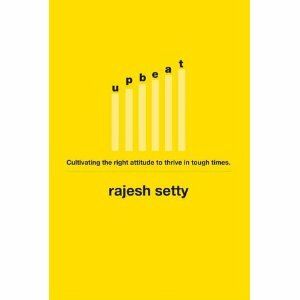 Rajesh: A personal brand for me is a promise that one makes to the world. Since everyone always makes some or the other promise, they can’t NOT have a personal brand. Everyone has one. This is evident in the way people “box” you just the way you will “box” other people. We are always in some sort of a two-way “boxing” game. A simple way to work on your personal brand is to make it easy for people to “box” you the right way. That is, when asked “What do you do?”, your answer needs to fit into a box that the person is familiar with. If you don’t tell them which box you belong in, they will put you in a box they design. You design your own box and then build a bigger box. A point to note here is that what you say has to match with who you really are. Wanting to put in the “right box” does not end with words, it has to be followed by you growing up to those words. Laura: What do you believe is the first step in building a personal brand? 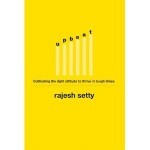 Rajesh: For me, it is the idea of making the right “ZEROth” impression. Let me explain. Everything you do before you meet someone influences the FIRST impression. It is how you behave online, your profiles, your comments, your email, voicemail, phone calls…it all matters. Most people you meet will have heard of you, seen you or been referred to you prior to you establishing a connection with them. Everything up to that point is the “ZEROth” impression and cannot be overlooked. Laura: How do you continue to build your personal brand? Rajesh: It comes down to three simple things. First, I always think of how to increase the capacity of the other person. What kind of contribution can I make to them. Second, I always find a second reason to do something for them. Maybe tweet about them, speak to their organization, make an introduction. and Finally, I am always very careful about the promises I make to myrself. If I can’t make the commitment then don’t make the promise. Honor your commitments to yourself like you would to a client.